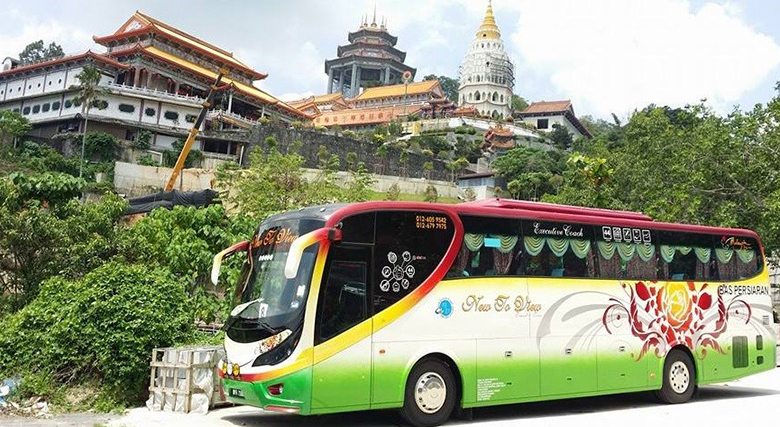 Jay C Tours Sdn Bhd is incorporated on 21st July 2014 and the management office is located at No 5-1 Jalan Klang Sentral 7/KU 5 Taman Klang Sentral Bukit Raja 41050 Klang. Currently our Company owned 11 vehicles along with contract vehicles to serve target customers. Jay C Tours Sdn Bhd is expected to build its fleet to 30 vehicles and provide variety and choice of models to fulfill customers ‘needs. Similarly, its network is expected to be in place at various strategic locations covering all major cities in Malaysia. 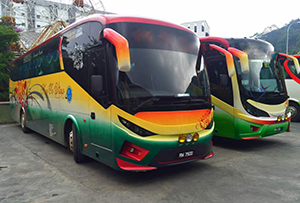 In this connection, a business plan has been put together to chart the direction that Jay C Tours Sdn Bhd would pursue given the present economic climate, the maturity of the transportation industry in Malaysia, its potential and constraints that determine the growth of the business. Export, major expenditure on infrastructures and construction projects as well as strong private consumption expenditures are major source of this optimism. From a regional and international standpoint, Malaysia’s attainment of rapid economic growth is remarkable. The development of tourism in the light of the government aggressive push on the influx of 20 million tourists by the years to come. Various government directives have been issued for this development of the tourism industry and infrastructure development. Rapid economic growth and increasing travel will create transportation needs beyond the government’s resources capability. The creation of an efficient, safe and modern transportation system by road, rail and air will invariably require substantial private sector investment. There is, therefore an urgent need to broaden and revitalize the public-private sector partnership in transportation. Jay C Tours Sdn Bhd is ready and willing to contribute to this partnership. This along with other development programs in place will enhance Malaysia’s image and present Malaysia as a worthy destination for both tourists and businessmen. With tourism presently being the third revenue earner for the country and with the promotion and development of tourism, Malaysia will no doubt become a premier tourist destination. We believe that the Bus Transportation industry will play a vital role in accomplishing the complete picture of Malaysia Economic growth. The transportation market in Malaysia considered in this study is defined as any rental for the purpose of road transport, including buses, cars, vans and 4WD vehicles. Our Services include, College Shuttle bus service, University Shuttle bus service, Shopping Mall Shuttle bus service, Shuttle Van Services, Corporate Bus services, VIP Bas Persiaran, VIP Van Services, VIP Tour Bus, Luxury Bus, Cheapest Van Services, Cheapest Bas Persiaran, Lowest Bas Persiaran, Affordable Bas Persiaran, Bus to Genting, Bus to Airport, Bas Persiaran In Kuala Lumpur,Shah alam, Klang , Puchong around Klang valley, Shuttle bus services, mini Bus Airport Transfer services, Bas Persiaran Airport Transfer services, Factory Van Services, Company bus services, Tourist coach Rental, Sewa Van persiaran, Sewa Bas Persiaran Executive, sewa van Persiaran Executive, Bus Rental Services, Van Rental Services, Bas Persiaran, Sewa Van, Airport Transfer Service, Tour Bus Transfer Services, Van Transfer services, Super VIP bus rental, Sewa VIP Bas, Shuttle Van Services, Mini bus rental, Sewa Bas Mini, Bus rental to Genting, Van rental to Genting, Van rental at Shah alam , Klang, KL, Bus rental at KL,Shah Alam,Klang, Sewa Bas persiaran Murah, Sewa Van Murah, Lowest price Bus rental services, Bas mini sewa KL, Bas Persiaran Sewa KL.